Welcome to our latest social media marketing news roundup. Read on for a flurry of Facebook advertising news, Hindi hashtags, the future of Google+, and a way to psychoanalyse yourself (through Twitter). Facebook has announced it now has two million advertisers actively using its platform. Our mission is to make the world more open and connected, and an important part of that is helping people connect with businesses. Today, we want to express our thanks to you and all of our advertising partners – two million strong and growing every day. We’re going to keep working to serve you better, so you can continue creating jobs and opportunities in your community, and moving the entire world forward. 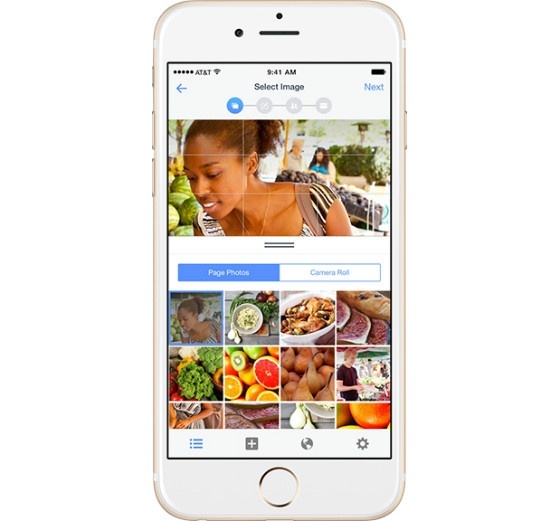 Facebook has launched an iOS app to help advertisers manage their campaigns away from their desktop computers. Facebook Ads Manager. Source: Facebook for Business. Ads Manager lets users create ads, track performance, and edit ads, schedules and budgets. 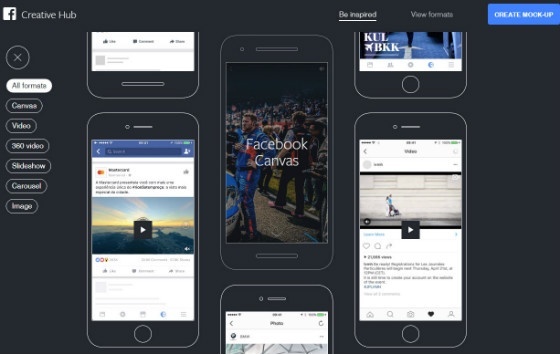 Facebook says it has introduced the app to meet “a growing need to manage Facebook campaigns on the go”. The app is available for Apple device users in the US, as of Tuesday. The company says it is working on an Android version. Yet another piece of Facebook news. The social network has launched a full rollout of its new ‘product ads’, after extensive tests. Brands can now choose from single or multi-product ads to showcase products from their website. They can also upload their product catalogue and let Facebook automatically identify and deliver the most relevant products. Many businesses sell more than one product. But if your business has lots and lots of products to advertise, all that variety can present some challenges. How do you highlight more of your products? How do you advertise the right products to the right people? Today we’re introducing product ads, a solution designed to help businesses promote multiple products or their entire product catalog, across all the devices their customers use. With product ads, businesses can showcase more products and people on Facebook can discover more relevant products. According to a beta test conducted by Brand Network, the new ad format delivered a 100% higher conversion rate and360% higher Return-on-Ad-Spend when compared to non-dynamic ads. Product ads went live in Facebook’s Marketing Partners API on February 17. At that time, Facebook promised the ads would roll out in Power Editor “over the next few weeks”. 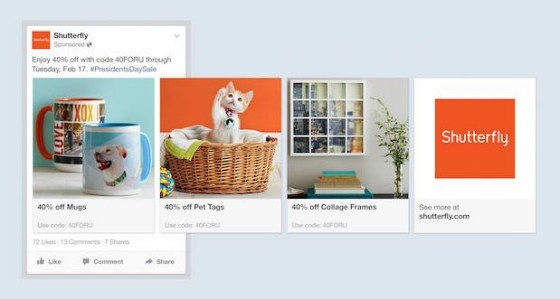 Facebook introduced ‘multi-product ads’ back in June 2014. Now, in what will likely be seen as a Facebook-aping move, Pinterest is also reportedly planning to introduce multi-image ad formats. According to Digiday, the scrapbooking network is testing “new ad, a ‘multi-pin carousel’ that will allow marketers to place several images in a single promoted pin”. 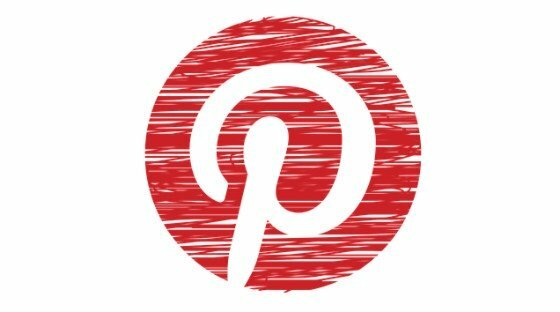 A Pinterest spokesman told Digiday that the company was “always exploring ways to make pins more useful, including promoted pins. A multi-pin format is one example of the many things we are testing”. Pinterest is no longer a spam-friendly platform, according to an announcement posted February 20. The social network reports that it has cut spam clicks in half, and its spam-detecting systems can now respond twice as fast to internal spam requests – thanks to a newly developed system called Stingray. The announcement follows news earlier this month that Pinterest was rolling out a site-wide ban on affiliate links. Ad Age’s Benjamin Spiegel has shared his thoughts about the recent Twitter-Google partnership. The partnership is similar to a previous deal between the two companies between 2009 and 2011, and will see tweets return to the SERPs as real-time results. The article considers the implications for on-page optimisation, tweet optimisation and brand reputation management. Read it here. Back to Facebook. The firm has made its ad ‘relevance score’ public, allowing advertisers to quickly determine how appropriate their ads are for their target audience. According to Facebook, relevance has always been a key factor when serving ad content to its users, but the metric has been kept for internal use by Facebook staff. 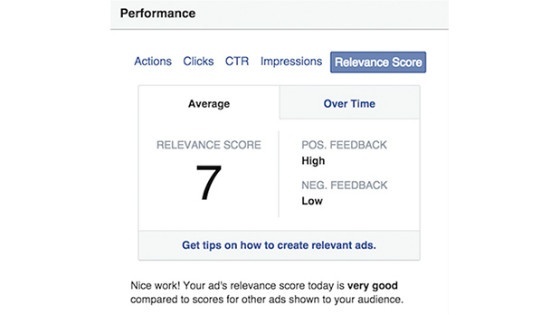 As of February 11, Facebook advertisers can see a relevance score for their ads within the reporting dashboard. Relevance is determined based on the number of positive and negative responses received for each ad. Facebook says higher relevance scores may help to reduce advertising costs. Is Google Planning to Split Google+ Into Separate Products? Google may no longer be thinking of Google+ as an integrated social network, and instead considering splitting its features out into separate products. Our speculation is based on an in-depth interview with Google’s senior vice president of products, Sundar Pichai, published at Forbes. Google's Sundar Pichai. Source: Wikimedia Commons. I think increasingly you’ll see us focus on communications [Hangouts], photos and the Google+ stream as three important areas, rather than being thought of as one area. 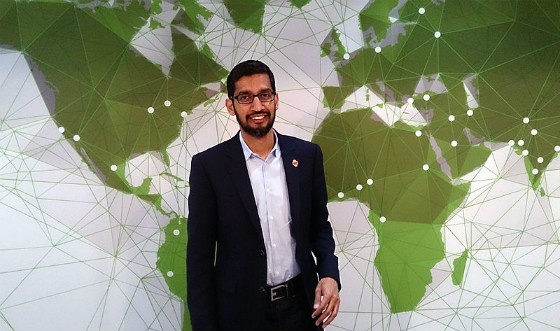 Regarding the perception of Google+ as “a flop”, Pichai said the platform has a “passionate community of users”, and had succeeded in one of its aims – to provide a universal login for users across Google’s product suite. A new tool promises to tell you your personality type, by analysing the content of your tweets. Most of us have some aspect of ourselves which we are not fully aware of, a sort of ‘hidden persona’. 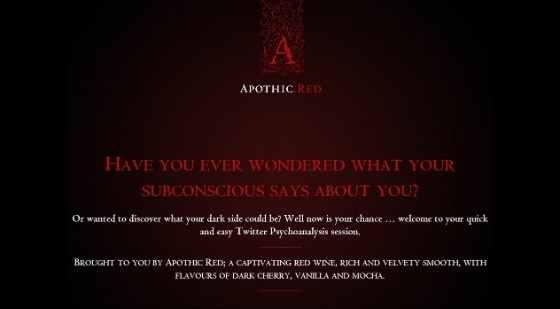 It is interesting to see how we can unconsciously reveal this part of ourselves through the use of social media, which was one of the reasons I wanted to be involved in this Apothic Red Wine project. According to research using the tool, UK Twitter users are most likely to be “passionate”, followed by “materialistic” and “egoist”. Women are more likely to be passionate than men, who are more inclined towards materialism. Although the tool is clearly a bit of fun (and a great bit of branded content marketing), it could be interesting for brands to find out how their tone of voice really plays out online! Google is to discontinue its Google+ ‘HelpOuts’ on April 20, 2015. Helpouts, which launched in 2013, allows users to connect with experts on various topics, for a fee. Users and experts are connected via an interactive ‘Hangout’-style video link, with optional remote access to the user’s computer. However, Google says the feature “hasn’t grown at the pace we expected”, so it has made the “tough decision” to close its doors. 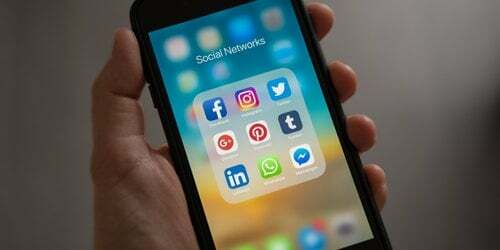 It’s been a good month for Arabic- and Hindi-speaking social media users, with Twitter and LinkedIn launching language updates to cater for portions of their Asian audience. LinkedIn, for its part, has launched an Arabic language version of its platform. The launch follows on from the rollout of its Chinese language version in 2014, which contributed to the company’s growth last year. The launch of LinkedIn Arabic is a significant step towards strengthening the Arabic media sector, developing local content and nurturing Arabic talent. LinkedIn Arabic will enable greater communication among individuals and major companies within the region and support career building efforts with the ability to search for opportunities that fit with their skills and potential. Existing users simply need to change their language settings to become using the Arabic version of the platform. Twitter, meanwhile, launched Hindi hashtags last week, and within three days, two of the hashtags were trending. Hindi is northern India’s most widely spoken language, and India is “one of [Twitter’s] fastest-growing markets”, according to the company’s CEO – so it comes as no surprise the move was welcomed by India’s growing body of Twitter users. IBN journalists Soumyadip Choudhury and Ankit Tuteja have also noticed hashtags are now available in a number of other Indian scripts, including Bengali, Gujarati and Punjabi, although Twitter has yet to announce these officially. Discover expert tips to help you integrate social media with an inbound content marketing strategy. Download your free eBook: Editorial Calendars for Content Marketing.